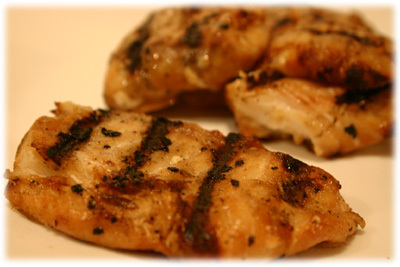 There's a very interesting marinade with this grilled fish recipe. Clearly the ginger and garlic dominate but when combined with a little soy sauce, brown sugar and sherry it takes grilling fish to a whole new level. You can certainly use any firmer white fish but if you can get your hands on Halibut or Haddock I think you'll like this recipe even more. 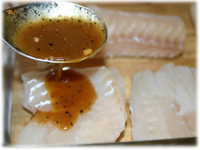 When using a marinade on fish never leave the pieces in the liquid too long, otherwise the acidic content in the marinade actually begins to "cook" the fish. You should have this fish on an off the grill in in 10 to 12 minutes. Note: for best results marinate only 30 minutes. 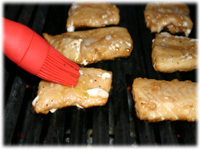 Rinse the fish fillets under cold water and pat dry with a paper towel. 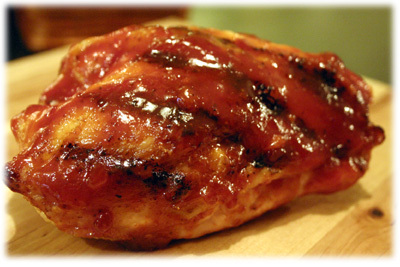 Mix the marinade recipe in a small bowl. 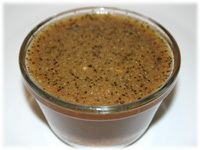 Place fillets in a glass dish and spoon the marinade over both sides of them. Well oil the grates of the grill. Preheat the grill to 450F - 500F. 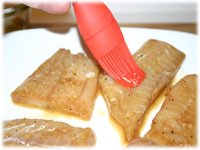 Remove the marinated fillets from the refrigerator and brush one side with sesame oil. 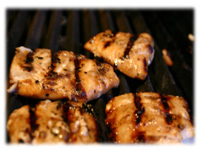 When the grill temperature reaches 450F - 500F place the fish on the hot grates oiled side facing down. Rub sesame oil on the uncooked side of the fillet. After 5 - 6 minutes peek under a fillet with a flipper to see if it lifts easily from the grate and is cooking well (should see grate char marks). If it doesn't lift well let it sit another minute. Don't rotate the fish like steak or they'll fall apart. When ready carefully flip the fish once. Monitor the fish, after 5 - 6 minutes peek under a fillet to see if it lifts easily from the grate and if it's cooking well. The fillet should flake easily with the edge of your spatula. 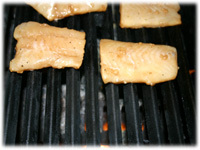 When ready remove the cook fillets from the grill and serve immediately.